Clinique has been my favorite skincare brand since I was eighteen. That’s when I started getting into beauty blogging and it was the only brand suitable for my skin. Battling extremely dry and sensitive skin due to allergies and eczema, Clinique was my go to brand. Now I’m almost thirty years young and Clinique has evolved with me. They recently released their Clinique Fit workout collection. Yeah, that’s right! Fit girls all over the world will be glad to get their hands on these products, haha! I was lucky enough to receive the press kit* filled with amazing products. 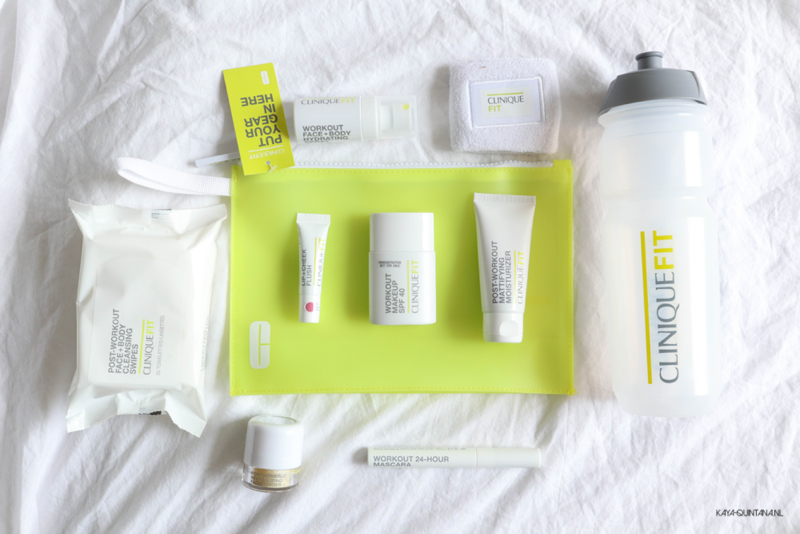 Here is an overview of all the products in the Clinique Fit collection. Let’s start off with the packaging, because I really like the look of it. It’s simple, clean and white. You can easily throw these items in your gym bag because there are no glass parts involved. Everything is easy to spray, squeeze out or wipe away. Yay for good packaging! Let’s talk price, because a quick Google search told me that a lot of people aren’t a fan of the pricing. I can see why, because the products are quite expensive while the amounts are very small. 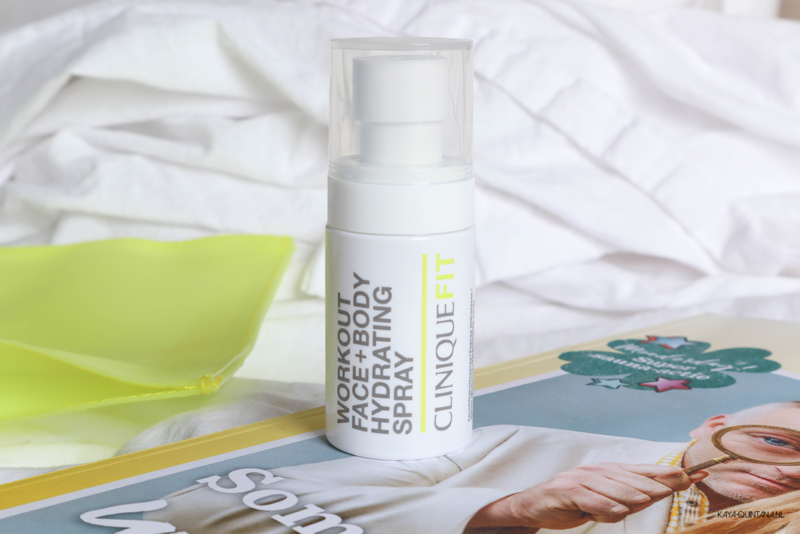 For example, the Workout face and body hydrating spray costs €15 or $14 for only 30 ml. Now that is really, really expensive for such a small amount, in my opinion. I work out at least three times a week and I would be through a bottle like this in a month, maybe two. Clinique should either double the amount or lower the price. Now let’s look at the Clinique Fit collection. There are seven products to choose from. 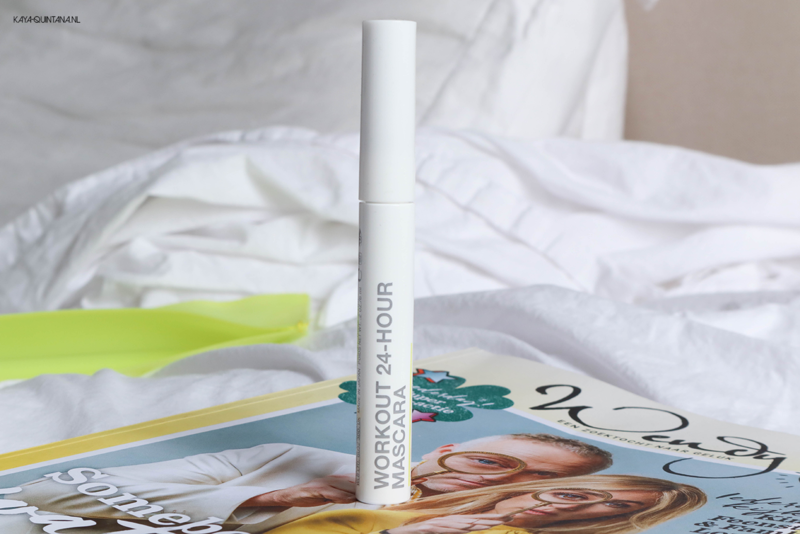 You can start off with the Workout 24-hour mascara and the Workout makeup spf 40. Use the Lip and cheek flush to look extra cute in the gym. Use the Post workout face and body cleansing swipes to clean your face. 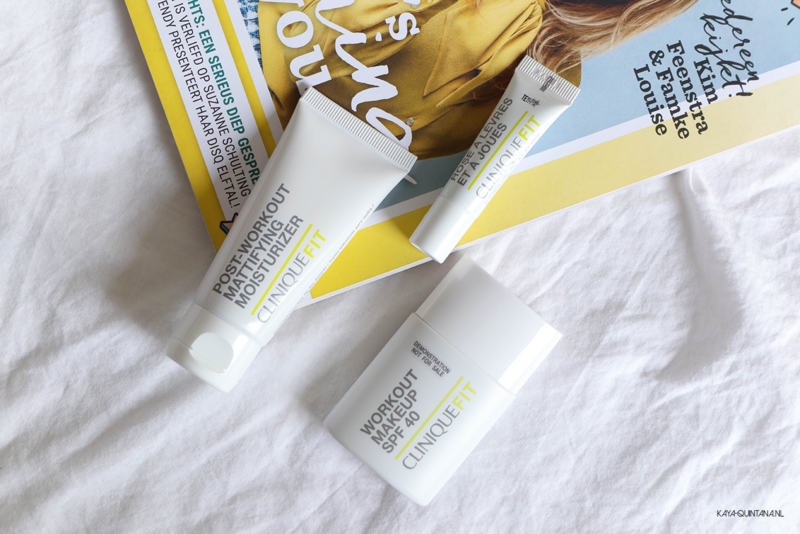 Add the Post-workout mattifying moisturizer and the hydrating spray to finish it off. 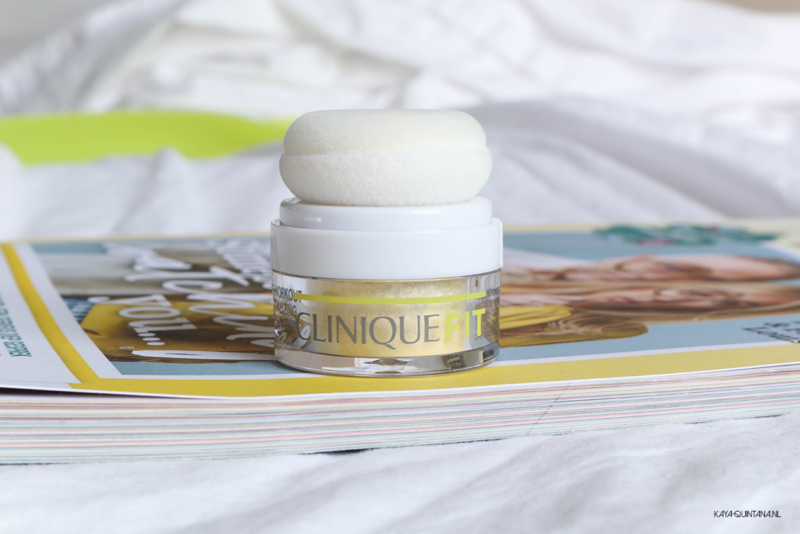 Add some of the Post-workout neutralizing face powder to hide redness and move on with your day. 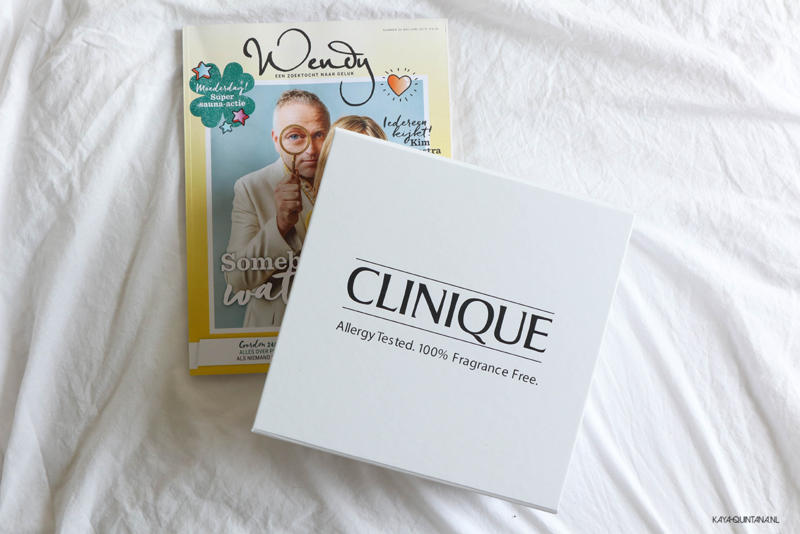 The Clinique Fit collection seems to be very handy, but I already know I’d like to see bigger packaging or lower prices. Let’s see if the products are even worth it before I give a full review. You can find this new collection in the Clinique webshop, at Douglas and Bijenkorf. The prices vary from around €15 to €34 per item. The amount per product varies from 7 ml to 40 ml. Well, I’m of to the gym to test these goodies. If you already have them, do tell me what you think. 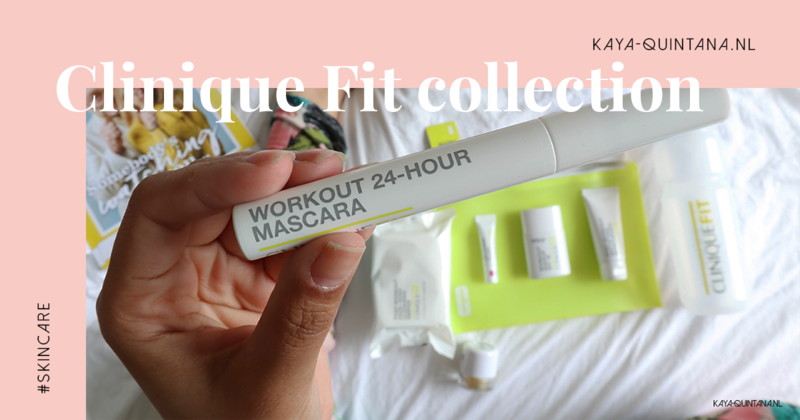 Is the Clinique Fit collection worth the money?